Buying a home is an exciting event, but it can also be filled with lots of questions, especially for first-time homebuyers. You’ll probably hear unfamiliar terms like equity, mortgage, down payment, and more—and you’ll hear them used a lot. It can be confusing even for people who have gone through the process a time or two. Here at Home to Indy, we love educating our clients so that they know what to expect. That's why we've written this post to tell you what you need to know about down payments. When you’re buying a home, you’ll usually be expected to make an initial payment toward the purchase price of the home. This should be out of your own pocket, not financed. A down payment lets the mortgage company know that you’re serious about the purchase and makes them more inclined to lend you the rest of the money you need. 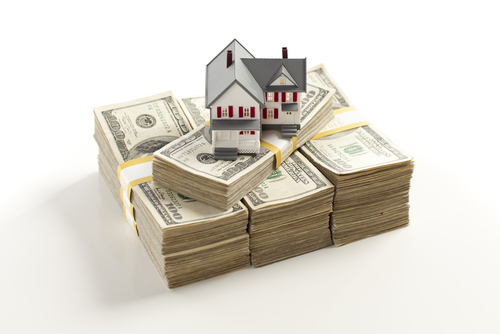 Down payments are usually expressed as a percentage of the home’s total worth. While there will probably be minimum percentage requirements, it’s definitely worth considering investing as much as you can in the home initially. One reason this is a good idea is because a larger down payment means you’ll have a lower interest rate (and therefore lower monthly payments). Another reason to make a large down payment is to avoid paying private mortgage insurance, or PMI. Generally speaking, if you put down less than 20% of the home’s total value, the lender will require the purchase of this type of insurance to help cover them in the event that you default on the loan. When you put down more money, you’re seen as less of a risk, so this isn’t necessary. Your loan to value ratio, or LTV, is the percentage of the total amount of the loan compared to the home’s purchase price (or appraised price, if this is lower). Lenders use this number extensively to determine whether to extend you credit or not. A higher down payment means a lower LTV—and more chance that your loan will be approved on terms you like. What if I can’t afford to put down much? There are still many alternatives if you can’t afford a large down payment. Certain types of loans require much lower minimum down payments than others (such as FHA or VA loans for qualified homebuyers). And, of course, there’s always the option of seeking out an alternative home that’s more in your price range if you can’t afford a particular down payment. It’s important to consider all the angles when you’re deciding what to do about down payments. Make sure to ask questions of your lender if there’s anything you don’t understand. They can also help you figure out the best options based on your financial situation.